Knutitour’s 10th anniversary year is even a year of nostalgie. 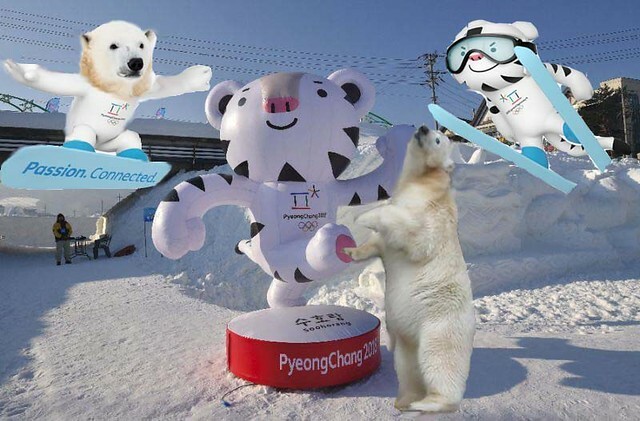 Now that the Olympic Games in PyeongChang have started I thought this would be a perfect time for some flash backs to our polar bears’ own games during the years. In Vancouver 2010 Germany had a very special representant – Herr Knut aus Berlin. 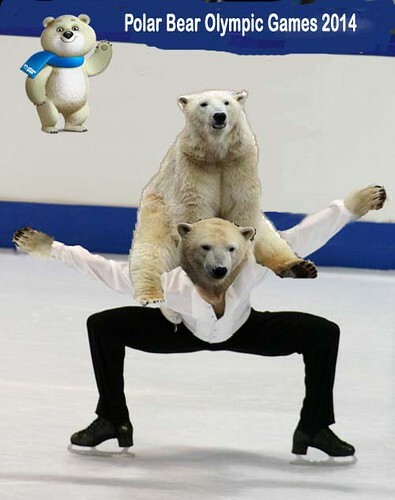 In Sotshi 2014 there were many traditional disciplines but also many new. There were some funny incidents, too. A kosack was dancing on the downhill track. However, Uncle Sergej mastered the unexpected situation very well. Even though Ranzo lives in Austria now he wants to be a member of the Team Finland. He’s acting as a defender but also as a forward when needed. 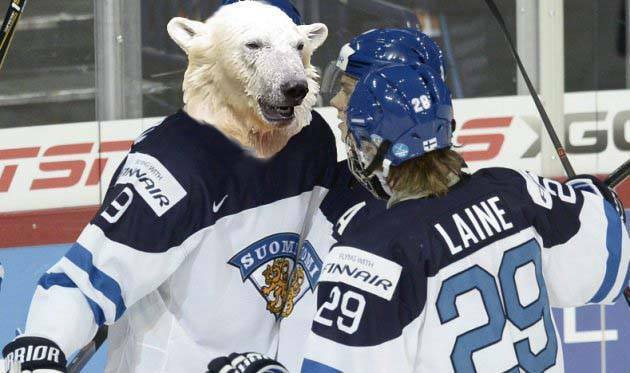 Who wants to challenge Finland on the ice??? 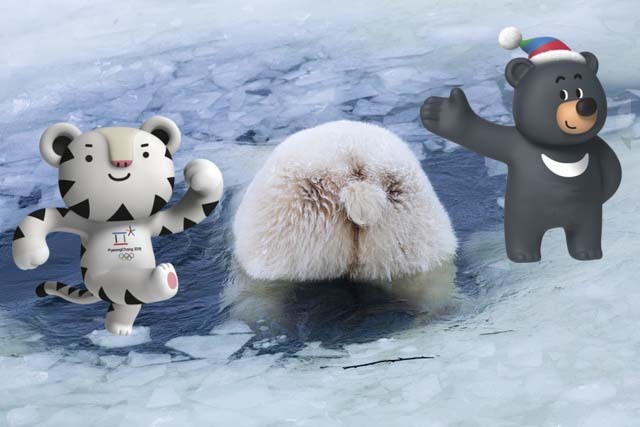 🙂 Of course, Ranzo is participating even in the Polar Bear Olympics! Sisu had decided to take it very easy and just enjoy the games …..
…. but when he noticed Quintana among the spectators he just had to show her he’s not ‘coach potato’. I must admit he has a great style! Rolling a big ball in the snow requires lots of power and energy. Quintana has been an excellent bearsonal trainer for Sisu. She gives him all the energy needed. As we know Miss Quintana is also called Miss Duracell! The Olympic fire has been travelling via every zoo in the world and now Sisu carried it to the ski jumping arena for the opening ceremony. 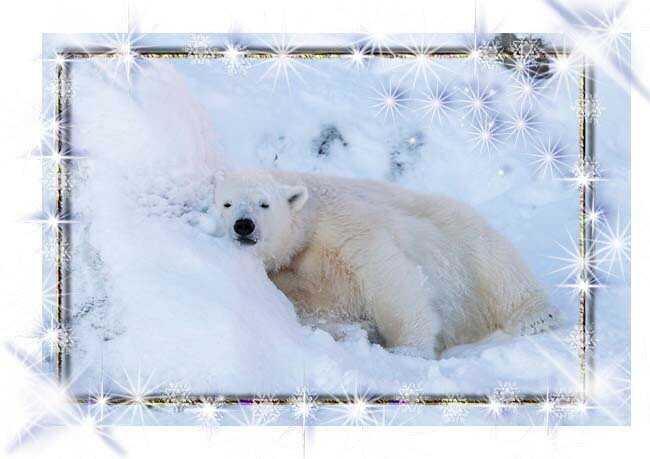 It’s been a tough time for Sisu so now he needs a well deserved nap before it’s time for Nordic skiing, ski jumping, biathlon, ice hockey and all the other exciting events. 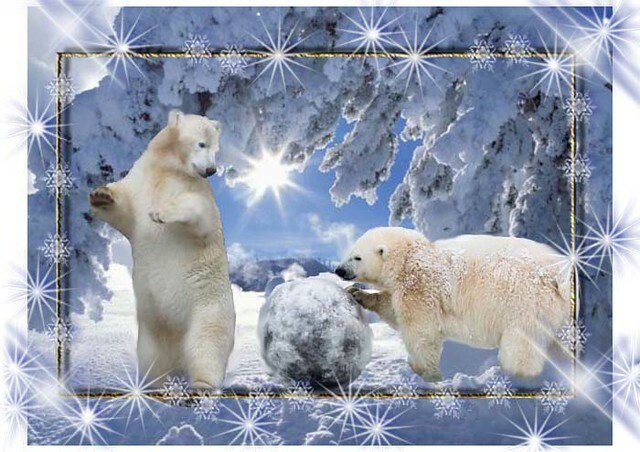 You really have been very busy with all the lovely Polar Bear collages and reports from three Winter Olympics. 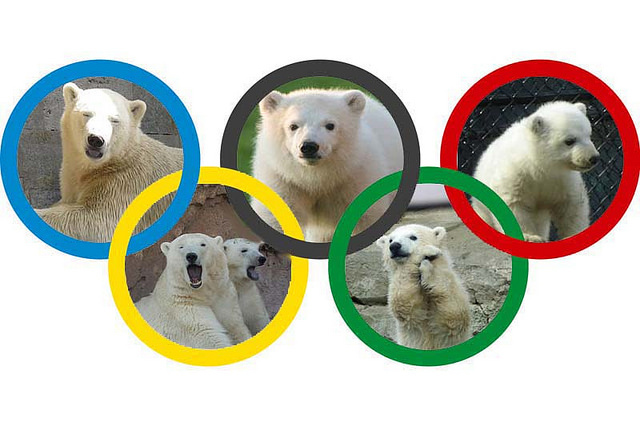 Thank you for the funny Polar Bear Olympics! 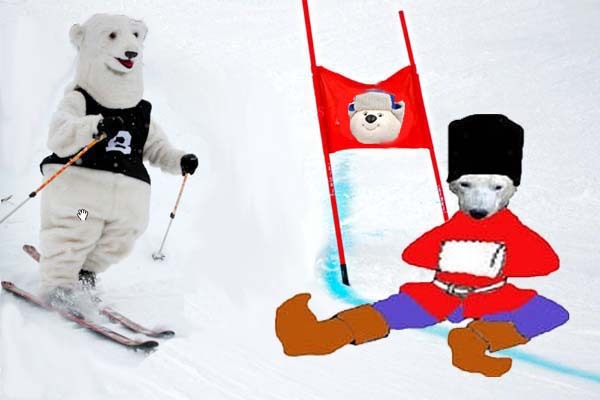 When I saw Knut holding the German flag I had to sigh out deeply. My favourites are ice dancing, ice hockey and treasure hunting. I wish everybody a nice and cosy weekend, with or without the Olympics. da machen die Olympischen Spiele noch mehr gute Laune. Super Collagen! Ein wahre Freude, sie anzusehen. Onkel Sergej wird – wie ich – sicherlich auch alle Eiskunstlauf-Wettbewerbe verfolgen. Er ist in dieser Sportart fast schon Profi, übt er doch so gern auf unserer Knuipe-Eisbahn – und das bereits seit Jahren! Ich musste herzlich lachen über das Boomsie-Foto mit den Maskottchen. You brought again funny and sweet collages, dear MERVI. May be I get one or another name of the olympic athletes – but only due to the excessive comments we may expect in ‘Die Knuipe’ by some people 😉 – otherwise I most probably wouldn’t get to know one single of the names in question, as I am ly for sure won’t go to follow the games via TV and/or newspaper and/or radio. I am afraid I am a so called ‘Sport-Muffel’. Na ja, ich weiß schon lange, dass auch ich mich vor allem AKTIV mehr bewegen sollte . . .
Stimmt ohne Zweifel! . . . . MAl sehen, ob ich es in diesem Leben nochmals schaffe . . .
may the question be about sports or any other bodily or mental competition in whatsoever field of life!!! I’m not such a sports fan, but that’s how I enjoy Olympic Games. I’d watch that too. The collages have been very successful. They’re all enchanting. Die Goldmedaille für deine Collagen ist dir auf jeden Fall sicher! Danke für diesen lustigen Olympiabeitrag, ich bin sicher, unsere bärigen Stars wuerden die Spiele ganz schön aufmischen. die bärische Olympiade hat begonnen, hier in KW. Klasse! Und Sisu trägt die olympische Fackel. Unsere Bärchen sind sowieso schon alle Gewinner. Ein sehr schöner und lustiger Bericht mit tollen Collagen, liebe Mervi. Besonders schön finde ich Uncle Sergej Skifahrer, und Ranzo als Eishockeyspieler. Tonja und Wolodja machen aber auch eine sehr gute Figur beim Eislauf-Paartanz. Danke liebe Mervi für den tollen Olympiabericht. Und ich muss Erika recht geben, Du hast auf jeden Fall die Goldmedaille verdient. Liebe Grüße und viel Spaß beim Olympia gucken. Deutschland hat ja heute bereits zwei Goldmedaillen gewonnen. Thank you for the remembrance on the Olympic Games 2010 and 2014. 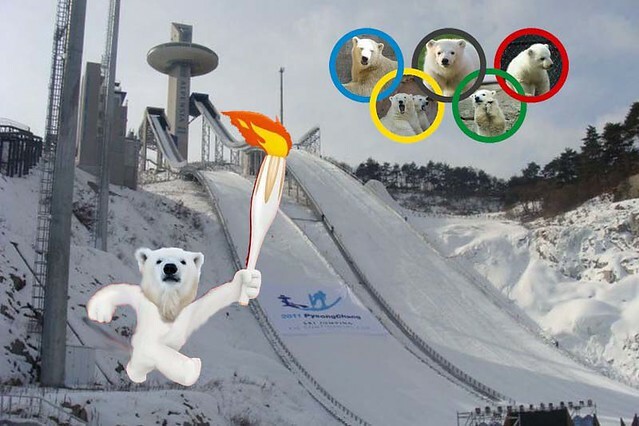 Now we have the new young bears, who can continue our tradition with Olympic games. You made the wonderful collages. …..and the winner is M E R V I ! Liebe Mervi, dir sind wieder fantastische und witzige Collagen gelungen, von denen eine schöner als die andere ist. Dein Ideenreichtum ist unerschöpflich. 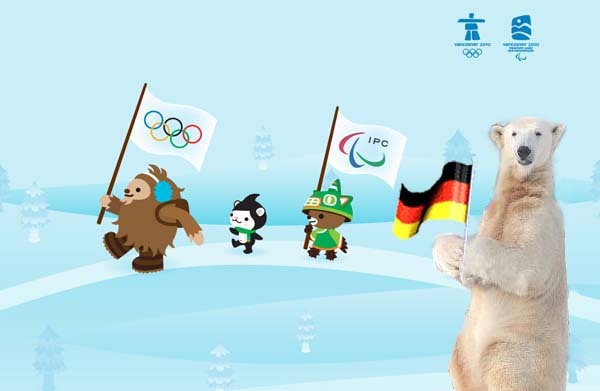 Danke für den herrlichen Spaß zu den Olympischen Winterspielen 2018! so sweet all the lovely memories but also the new collages are great, My favorite is Sisu carrieing the Olympic fire..Thank you so much for publishing all your nice and often touching ideas. in our dreams all the beloved bears can have such joy. Thank you for fantastic collage! It’s perfect reading to starting the week! 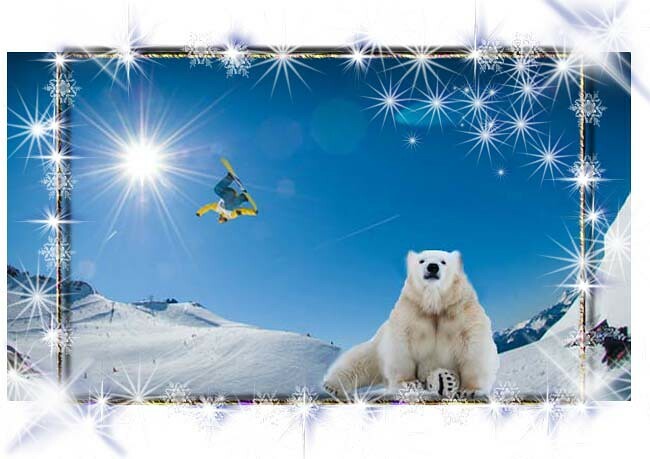 My favorite is Sisu showing he has a great style on the mountain. Log in | 53 queries. 0.789 seconds.